If you haven't read or heard of Hachiko's story, you must. There are so many other similar cases ,especially a dog named Bobby who spent every day of his fourteen years at his master's grave until he died. Sometime back I had received a sms forward which made me smile. It said " Lock up your wife and your dog in a room. Open the door after a few hours. Guess who will be happy to see you." Having a dog, really changes you as a person. A dog is nothing but pure love on four legs. And as for those humans who abandon their pets, I don't even have words for them. Having a dog is real hard work. But it is really, totally and completely worth it. If you are seriously considering getting a dog, do read this article first which asks 'Are you ready for a dog'. 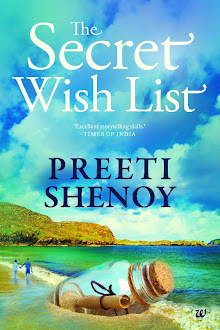 I am one of them Preeti who is very very scared of dog..But yes your post made me think now.. 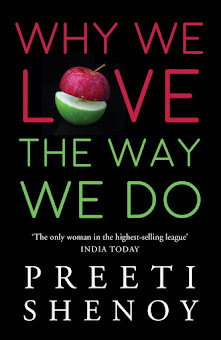 Completely agree with the points Preeti makes. Have seen Marley and me and Hachikos Story. Brilliant. But for a non dog lover would really suggest you go through Are you ready for a dog before you take the plunge. It is a lot of hard work and if you are not prepared for it then my view is dont get in to it. Well...what do I say...I'm amongst those who are not very comfy around pets..but yes I can pet them and scratch them at their necks if they are not too hyperactive kinds. I've a friend who loves dogs so much that if she finds a stray dog, she gets them vaccinated and brings them up at her own home. She has one blind pom at her place who is just so adorable. They way she has taught her things is also something that I find amazing. I wouldn't call myself a dog-lover ... I can just about tolerate them ... but I must tell you ... I have friends who are ... and dog-lovers are the best breeds of human beings I ve seen! Loved this post!! 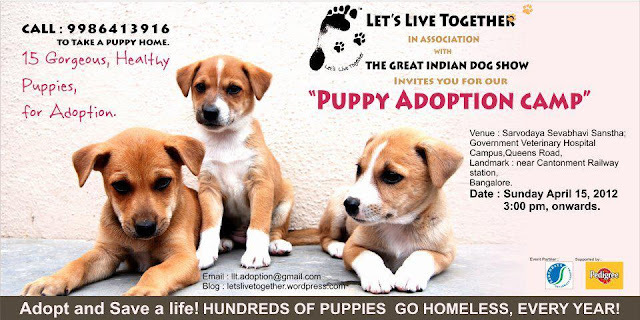 Its really nice of you Preeti Shenoy to support this cause of getting homeless pups adopted :-) Thanks so much! u r right.... i ve watched "Hachiko" movie and was moved to tears towards the end! it was so touching. i then googled to know more about the original story.